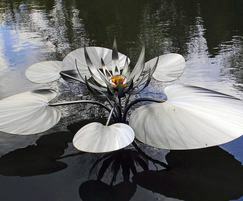 This lily sculpture is crafted from stainless steel and becomes a shimmering water feature for a private garden as it reflects light patterns on the water. Its subtle textures also respond to the changing lights of each day as the seasons alter. 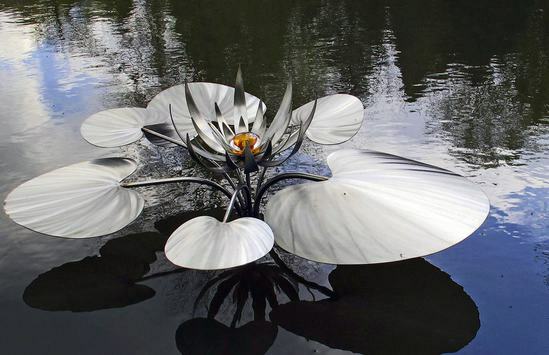 Using stainless steel to create the lily forms creates a verstaile sculpture which can sit comfortably in either traditional gardens or more minimalist landscapes.